Age 87, of Portsmouth, went to be with the Lord Wednesday, April 10, 2019 at Rosemount Pavilion in Portsmouth. She was born May 10, 1931 in Rubyville to Adam and Susan (Howe) Swords. Mary worked at Williams Shoe factor and as a Cook for Heritage Square for over 13 years. She enjoyed sewing and cooking in her spare time. Mary was married for over 50 years to Glen Elliott. 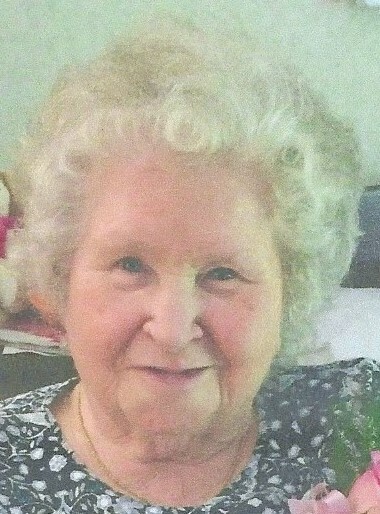 She is survived by her son, Tom Elliott of Reynoldsburg; daughters, Patricia Kay Johnson of Chillicothe, Lucinda (Chris) Vowell of Lucasville; brother Paul Swords of Columbus; sisters, Eva Sexton of Minford, Betty Hite of New Boston; eight grandchildren; 21 great-grandchildren; several great-great-grandchildren. In addition to her husband in 2002, she was preceded in death by her parents; sons, Robert and Glen, Jr; daughter, Donna Maier; brothers, Walter, Howard, Charles, Edward, William, LeRoy, and Robert Swords; sister, Clara Swords; grandson, Christopher Vowell. Funeral services will be 1:00 p.m. Monday, April 15, 2019 at D.W. SWICK-NELSON FUNERAL HOME in New Boston. Interment will follow at Long Run Cemetery in Rubyville. Friends may call on Sunday from 3 – 5 p.m. and on Monday one hour prior to the service. Fond memories and expressions of condolence may be shared at www.DWSwickNelsonFuneralHome.com.